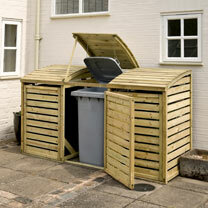 Storage for three wheelie bins (maximum overall bin size: height 1060mm, width 740mm, depth 740mm). Lifting lids with chains to bin lids. 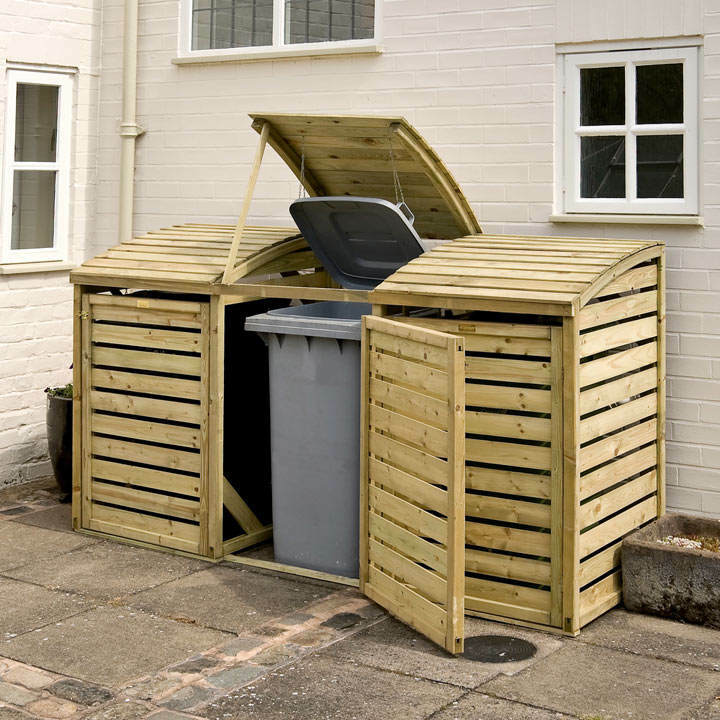 Easy access to bins. Pressure treated against rot. Natural timber finish. External (includes roof overhang) - Height 1300mm. Width 2305mm. Depth 820mm..